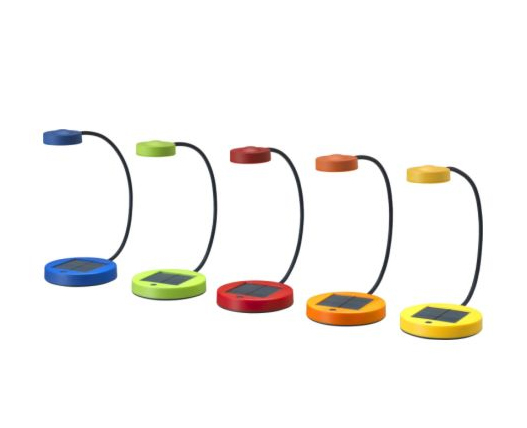 IKEA, the massive Swedish furniture retailer that brought scandinavian design to the masses, is now going to bring LED lighting to the world in a big way. The company just announced that it will sell only LED bulbs by the year 2016, and it’s given LED bulbs away to all of its 130,000 employees worldwide. The reason is simple – LEDs outlast incandescent bulbs twenty fold, and they produce the same quality of light while consuming nearly 90% less energy. IKEA was also the first US retailer to stop selling incandescent bulbs back in 2011. An IKEA study shows that 86% of Americans said they’d be interested in switching to LEDs after they saw how much energy the bulbs save. So the massive retailer decided to help make the switch by providing the lowest cost LEDs on the market. In addition to offering bulb replacements, from now on the retailer will only sell lamps fitted with LEDs. “If one million people changed one bulb each into LED, this would in terms of CO2 emissions correspond to taking almost 6,700 cars off the road, or planting 17 million trees per year.” And with IKEA’s global reach and sales savvy their impact in reducing energy is significant. IKEA’s study showed that Americans have some catching up to do with understanding the technology. Only 34% of Americans say LED lights provide similar lighting quality to incandescent bulbs, and the same percentage don’t know that LED bulbs use less energy. Americans are also way behind in adopting LEDs – only 43% have at least one LED bulb compared to China (80%), Russia (65%) and Sweden (61%). For such a tech savvy nation there is some significant room for improvement. The cost of the bulbs will be cheaper in the future, and with IKEA’s capacity to manufacture and sell the bulbs at scale they should be a no-brainer for contemporary living. It appears that incandescent is not dead. According to 2xbulb.com, new energy efficient incandescent lamps are being introduced that save 50% in energy. Bright, white light too. No mercury like compact fluorescent. Much less cost than LED. IKEA, the massive Swedish furniture retailer that brought scandinavian design to the masses, is now going to bring LED lighting to the world in a big way. The company just announced that it will sell only LED bulbs by the year 2016, and it's given LED bulbs away to all of its 130,000 employees worldwide. The reason is simple - LEDs outlast incandescent bulbs twenty fold, and they produce the same quality of light while consuming nearly 90% less energy. 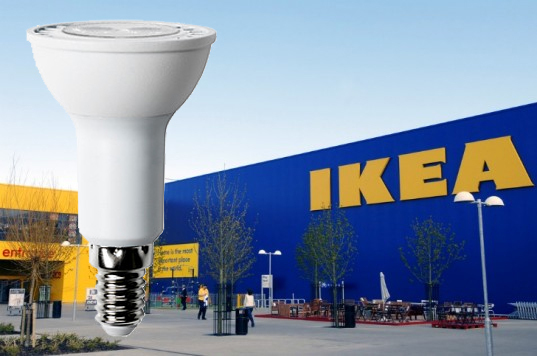 IKEA was also the first US retailer to stop selling incandescent bulbs back in 2011.